Scholars will have the opportunity to experience enrichment classes like visual arts, music, theater, sports, dance and much more! A very important focus will also be placed on improving your student’s Math and ELA skills. All scholars who would like to tryout for any ARISE Sports Teams must register with the CWLA Afterschool Program. PROGRAM AGREEMENT: Please read the following information carefully. Your scholar’s registration is not complete until this Program Agreement and Program Registration forms are signed and returned to CWLA with your registration fee. 1. ENROLLMENT: The registration forms must be filled out completely before a scholar may participate in the Community Works Afterschool Program. 2. 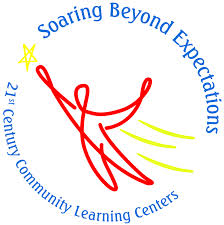 PROGRAM PARTCIPATION: Because this program is underwritten by funds from 21st Century Community Learning Center, scholars enrolled in the program must participate full time, 4 days/week, until 5:45pm. As there are a very limited number of spaces available, participation requirements will be strictly enforced. Any scholar absent from the Community Works Program more than five times without a valid excuse will be dropped from the program and their space made available to a waiting scholar. If your scholar elects to drop from the program at any time after the program begins, it is your responsibility to notify the Community Works Site Director, before your child’s last day of participation. You must also fill out a CWLA Student Drop Form which is available with the Site Director. The Registration Fee is non-reimbursable. 3. DISCIPLINE: This program is an extension of the school day. Therefore, we will follow the same rules and discipline as the school. Disruptive or disrespectful behavior toward other students or staff will not be permitted and will be cause for dismissal from the program. A child may be immediately dismissed from the program if he or she incites a physical fight or the child’s behavior is determined to be detrimental to the child or to the well-being of others in the program. Immediate dismissal of an entire family may occur in the event of inappropriate behavior of parents who are on school property. Adults are expected to model the desired behavior that is expected of the scholars. Profanity, threats, or disruptive behavior will not be tolerated. CWLA staff also agree to be respectful of parents/guardians and will communicate directly if an issue occurs. 4. FEES: By completing this form I agree to pay the Community Works of Louisiana fee. There is no credit for school absences, sick days, or suspensions. Payment may be made by cash, money order, or debit/credit card. Online payments may be made at www.communityworksla.org. Under the Programs tab at the upper right hand side is a Payment tab. Please choose your school and continue with your payment. Please give payments to the ARISE office. Delinquent accounts will be charged monthly a $25 late fee or 5% of the outstanding balance, whichever is more. 5. STUDENT PICK-UP: By enrolling scholars in the CWLA Program, Parents herby understand that during afterschool programing parents must sign out their scholar each day. Scholars must be picked up daily by 5:45pm. Parents who are late picking up their scholar will be charged $5 for the first ten minutes and $1 per minute thereafter for every minute they are late (according the CWLA clock). If a parent is late three times, the scholar may be dropped from the program. CWLA will make every reasonable effort to only release students to the person (s) designated by the parent/guardian on the registration form. Once a scholar is signed out by a parent/ guardian the CWLA Program is no longer responsible for that scholar. Parents must come into the designated area to sign out his/her scholar on the sign out sheet, and then wait for the staff to locate the scholar. If a scholar is to be released to anyone other than the person listed, the Site Director must be notified, directly. I.D. will be required if someone unfamiliar to CWLA staff arrives to pick up your scholar. A Site Director may call the parent to verify any written authorizations to release a scholar to someone else.